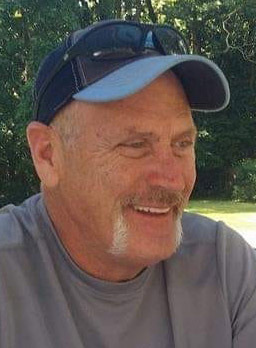 Michael Andrew Harmon, Sr., 54 of West Terre Haute, passed away on Monday, January 21, 2019 at 9:56 AM in his residence. He was born in Terre Haute on August 7, 1964 to Andrew E. Harmon and Carol E. Williams Harmon. Michael was an Army veteran and was a crane operator for Great Dane Trailers. He was an avid Sports fan, and especially loved the Carolina Tarheels, and loved his Dodge truck. Michael is survived by his son, Michael Andrew Harmon, Jr. (wife Ashley), his ex-wife and special friend, Bonnie Harmon, and two daughters, Helen Harris (husband Jason) and Eva Steadman (husband BJ). Also surviving are three grandchildren; Haley Harmon, Kayden Harmon, and Aubrey Harmon, as well as six siblings; Thomas Fuller, Russell Fuller, Dortha Marek, Karen Ferguson, Denise Dallin, and Chester Harmon, and several nieces and nephews. He was preceded in death by his parents. Funeral services will be held at Fitzpatrick Funeral Home, 220 North 3rd St., West Terre Haute, IN on Friday, January 25, 2019 at 1:00 PM, with Pastor Dennis Leek officiating. Burial will follow at Bethesda Memorial Park. Visitation is scheduled for Friday from 11:00 AM – 1:00 PM at the funeral home. In lieu of flowers, the family kindly requests that memorial contributions be given to help offset funeral expenses.